We have been affiliated with and recommended by the Musicians’ Union, BAPAM, BECTU and ISM for many years. We offer all members favourable discounts so don’t forget to let us know your membership number when you call us. 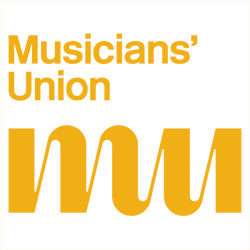 The MU recognises the importance of hearing education and protection and at Musicians Hearing Services we are proud to have been affiliated to the MU as their chosen provider of bespoke hearing advice and protection service to all MU members.